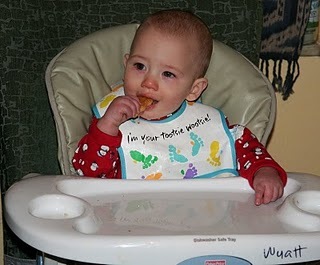 We start each meal with some sort of finger food – rice cakes and puffs have been the standard for several weeks. Recently we added “biter bars” which are bascially hard cookies. They both like them and have a different approach for eating them. 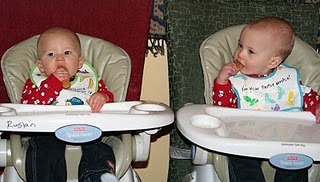 Ruslan takes little nibbles while Wyatt coats the cookie in drool until it dissolves…very messy. 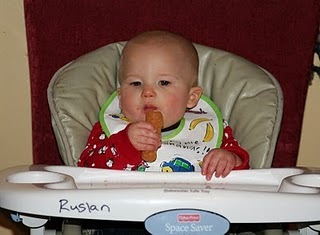 Wyatt really loves these, Ruslan would just as well eat a rice cake.